Versatile: Bonds wood, particleboard, MDF, plywood and other porous materials. Ideal for complex assemblies and bent laminations. Titebond Extend Wood Glue is a slower setting version of Titebond Original Wood Glue. It offers superior performance in a broad range of applications, including edge and face gluing. It is particularly useful in complex operations such as curved railings and other assemblies that require more time to align. Titebond Extend develops a bond stronger than wood itself, offers excellent sandability and is unaffected by finishes. It is compatible with all common species of wood, as well as particleboard, MDF, plywood and other porous materials. 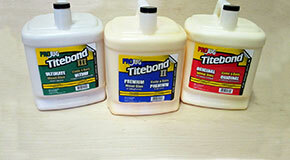 Titebond Extend Wood Glue is not intended for exterior use or where moisture is likely. For exterior applications use Titebond III Ultimate Wood Glue or Titebond II Extend. Not for structural of load bearing applications. Do not use when temperature, glue or materials are below 40°F. Freezing may not affect the function of the product but may cause it to thicken. If product appears to have settled, stir to ensure uniformity. 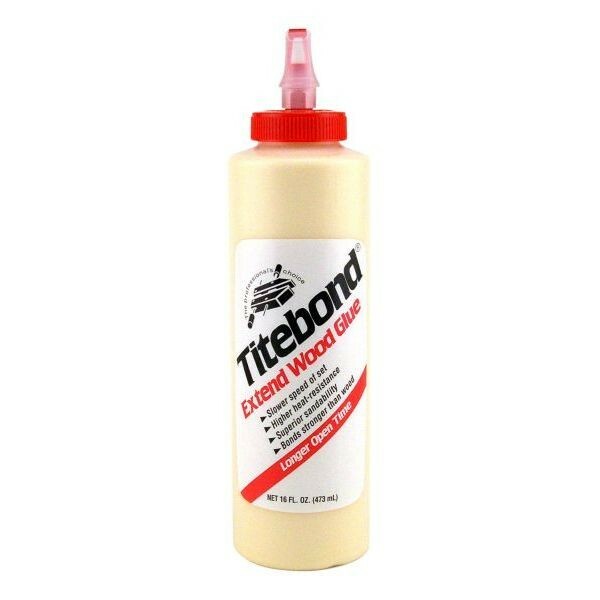 It is recommended that Titebond Extend Wood Glue not be stored for extended periods at temperatures lower than 40°F. Note: Stir before use to ensure uniformity. Read MSDS before use. Keep from freezing. Keep out of reach of children.